The Christmas Rom Com – arts, ink. During the holiday season it seems like the only things on television are Christmas related. Every other channel is running a Christmas movie marathon with all of the classics like Elf, Rudolph the Red-nosed Reindeer, and Home Alone. There are so many Christmas movies that there are genres within the genre of Christmas movie. One of the most popular genre is Christmas rom coms. Christmas rom coms are very similar to normal rom coms. With a plot consisting of two people meeting, waiting a while to get together, a big twist and they break up, and then a big gesture at the end so they end up together. But Christmas rom coms have their own set of tropes that are different from other rom coms throughout the year. An example of this is that in order for them to be together they both have to be really into Christmas, and if one of them is not they will learn to love it by the end of the movie. Snowstorms keeping someone in a small town in another classic trope that makes the two main characters stay together and then fall in love. 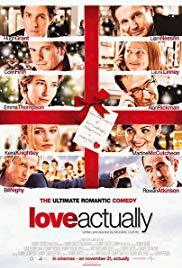 Some classic Christmas rom coms are “Love Actually”, “The Holiday”, and “Four Christmases”. All of these movies are constantly playing on TV. The most popular of the three is “Love Actually”. The movie is different from other rom coms because it follows more than one couple throughout the movie, it has 4 different story lines instead of just one. But each storyline still follows that same general arc as a typical Christmas rom com. Netflix has been making more rom coms in the past year, and this includes Christmas rom coms. The most popular Netflix rom com is called “The Christmas Prince” and it follows one of the typical rom com stories of a normal girl falling in love with a man who turns out to be a prince. “The Christmas Prince” was such a big hit on Netflix that they have now made a sequel this year. Other Christmas rom coms on Netflix are “The Princess Switch” starring Vanessa Hudgens, and “Christmas Inheritance”. These are only movies that are made by Netflix, you can also watch other Christmas rom coms on Netflix as well. Christmas rom coms is a feel good movie genre that is meant to put people in the holiday spirit. Everyone in all of the movies are extremely kind and they always give to others, something that not everyone does in the real world. I’m a sophomore studying economics and communications. I’m also a movie junkie who specializes in rom-coms with the philosophy that life is better at the lake.